Great shots! I love the squirrel with the acorn in his mouth. 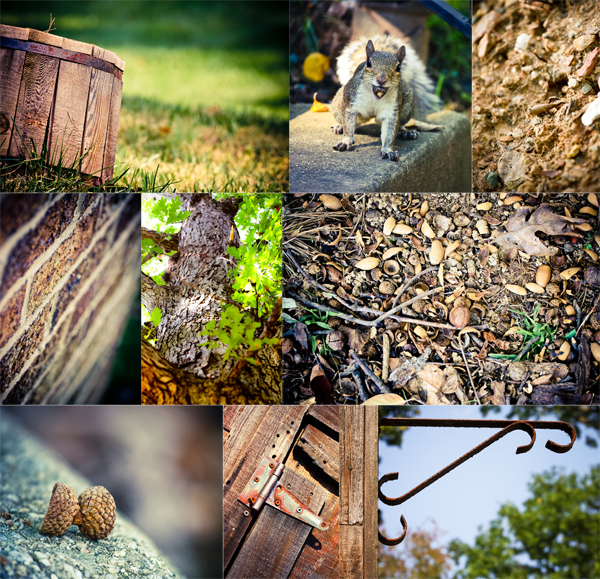 Great pictures, I love the squirrel! I love that you picked a color to photograph. This idea will come in handy, especially during winter. those are beautiful shots from your walk..